Reach out and Give is a short, easy-to-read children’s book that is uplifting, positive, and a useful tool in teaching children how they can be generous and reach out to their community. At only thirty pages with bright and cheerful illustration, follows one young boy in his journey throughout his community where he learns how he can give his time and talent to those in need. 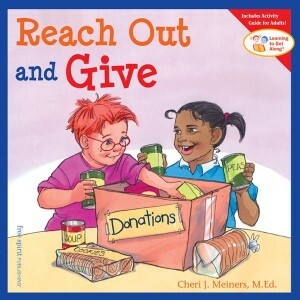 Moreover, Reach Out and Givehighlights how good it can feel inside yourself when you help others and are generous.